Home / Blog / Ferm Power Tools Launch into South Africa! The hype isn’t for nothing. Yes, it may seem risky investing in a brand that literally just docked on our shores but wasn’t it fun when you took the risk to ride your bicycle for the first time? Or when you made the switch from one car manufacturer to the other and now you’ve got 100’s of happy kilometres. It’s kind of the same thing here and trust me, there are thousands of hypothetical happy kilometres to come with Ferm. Like many ventures out there today, Ferm was originally a one man show. This meant that the business was founded on quality and attention to detail since the early 60’s. Today, Ferm has evolved into a multi-national business with sales in over 40 countries. Their head office is situated in the beautiful city of Zwolle near the scenic Vechte river. A move from their old Factory was necessary in order to facilitate a better product development centre as well as bigger testing rooms and warehouse space for future years. If you’re not passionate about what you do, then why are you even doing it? Ferm feel’s strongly about this and they are dedicated to implementing their core values into their product lines. I tend to gravitate towards this because, yes it may seem like a sales pitch but somewhere deep down the in the heart of the machine you can sense it’s trying the utmost best to keep you happy. Weird I know, but it’s just a feeling you get. It probably comes from their tedious quality control section. They take testing of their machines seriously. Each machine that leaves their assembly line gets tested to ensure that it meets Ferm’s standards. Another interesting point to mention is Ferm’s tenacious drive to constantly improve and optimise their products. It’s been seen in recent years that they put real effort into improving their machines. This drive stems from the companies vision: “The key to Ferm’s vision is the constant drive to improve and optimise our products. This is a time-consuming process, which will be a never-ending story in the dynamic world of power tools and technology. It is a philosophy, a passion to keep improving and developing innovative power tools”. I’ve read the 7 Habits of Highly Effective people and one thing the author focuses on in chapter 3 or 4 (it’s been a while since I opened it up) is that companies who stick by and continuously try to implement their mission statements are companies destined for success. Have you joined our Newsletter? Subscribe for Tips & Tricks, relevant Articles, Project Ideas and to receive our Unbeatable Specials. Click on this banner to Subscribe! What started with the idea of one man, Ferm developed into a globally known professional power tool brand 50 years later. A brand in constant motion that is always searching for the perfect fit with the ever-changing demands in the world of power tools. This never-ending process of analysing and optimizing, ensures high quality products for everyday use. 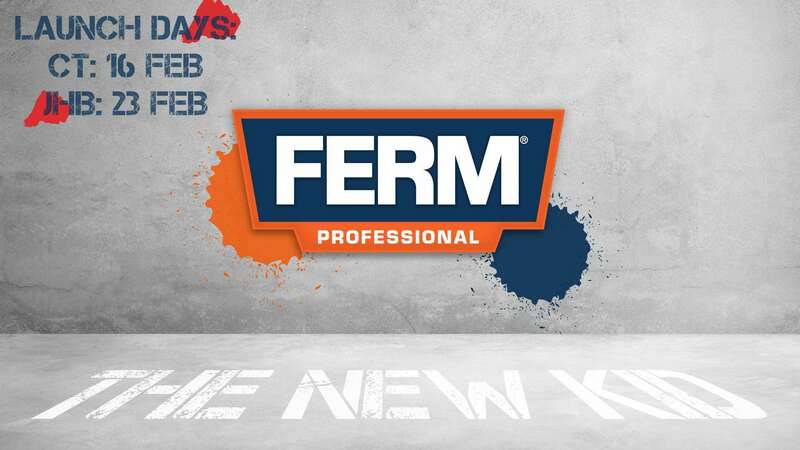 Choosing FERM is choosing reliable and affordable high-quality professional power tools. Join us at our Ferm Launch Day by clicking here or follow the event on Facebook here.